the Be binary 28 Tau is on the way to its next periastron (2017-01-04 ?). Don't forget to observe that event! 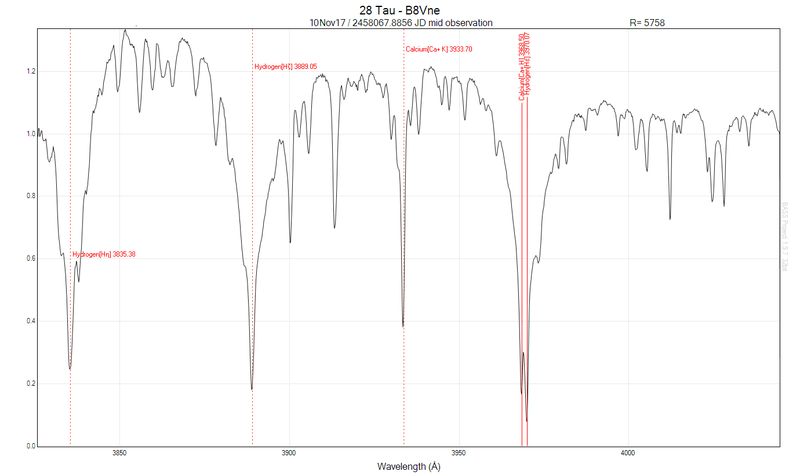 attached you can find the V/R & RV period analysis of the Halpha absorption core of 28 Tau. In contrast to my last postings and due to a calculation error, the last periastron took place already at JD 2457698 (2016-11-05). It seems, the periastron we observed very well, did happen fairly precise without any distortions or time delays. But there are signs that the ratio V/R does react much more sensitive than the radial velocity RV. It is not known, what happens with RV & V/R if the disk EW growth up again. Processed in Isis V5.90 with Ha & Hb using an IR from gam Peg on the same night and Cak using the previous night's Vega IR. Will try to shoot this on a weekly or bi-weekly basis to note changes. 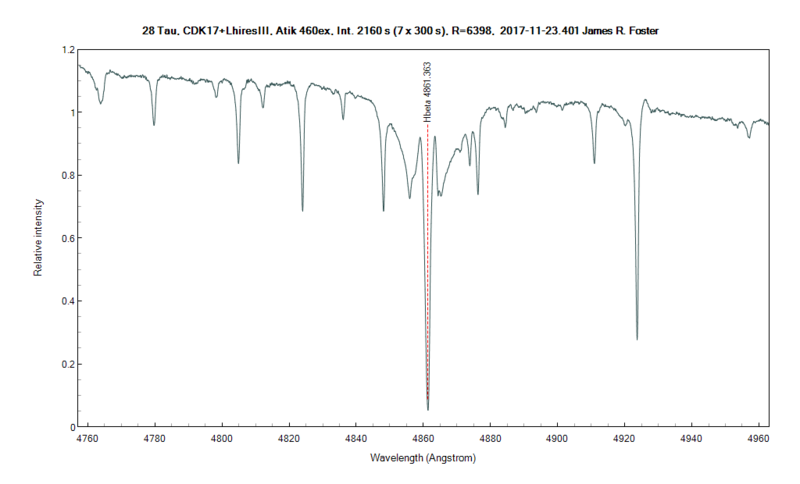 I have several 28 Tau spectra in BeSS database. I know it is only six but three of them in august-september this year. I do not see my name on your graph so I am guessing you aren't using any of them. 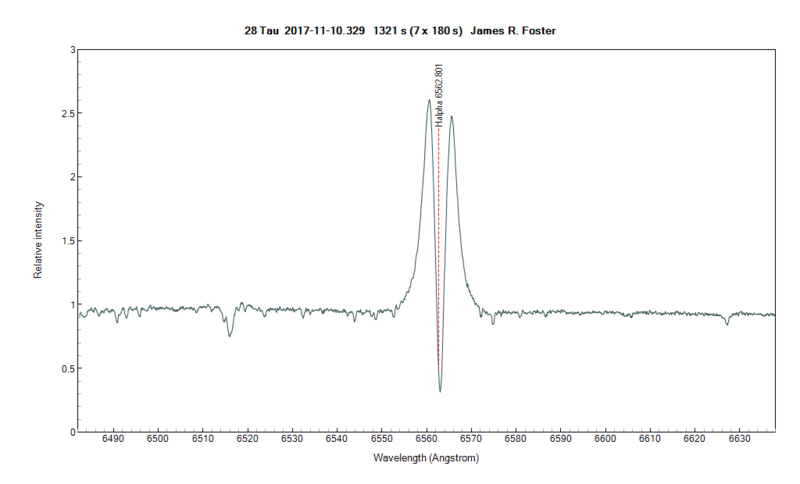 Are you taking spectra from BeSS or only using spectra that are sent to you directly? 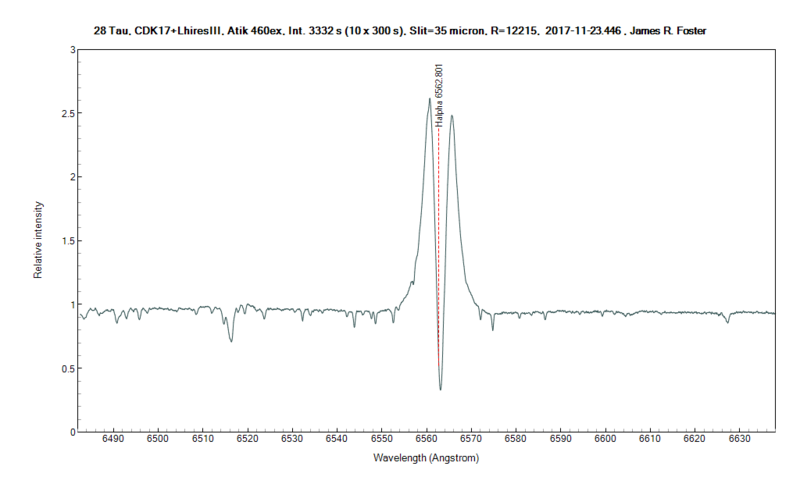 you are right, there are no Halpha spectra from you in that monitoring until now. This is not a bad intention. The real reason is that I had not enough time while the last months to up to date the monitoring. But good to hear that there some in BeSS. The monitoring contains spectra which was direct send to me and spectra I took from BeSS. There is not any preferences of course. I think I will have time for that job during December. thanks - this is what I assumed but prefered to ask. I know how hard it is to reconcile data received directly and the data only uploaded in BeSS - I am doing it on V442 And for exemple. So I just feel the tremendous work you are doing there - and not only on 28 Tau! 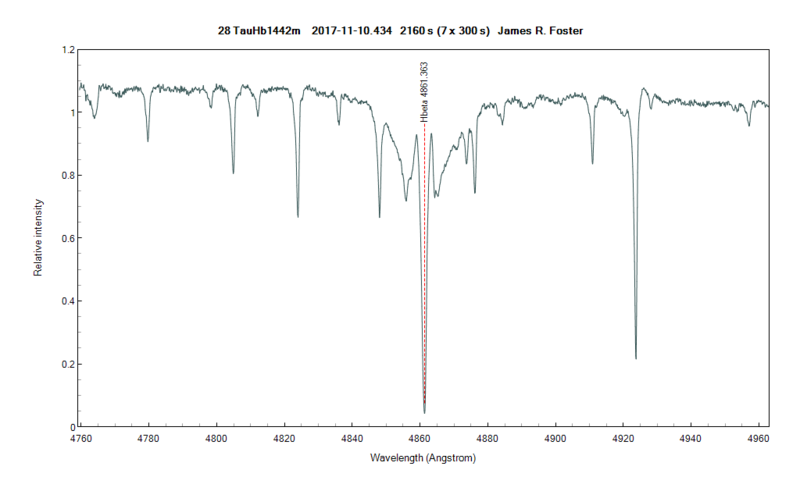 I used the Procyon's elodie database spectra, cropped and normalized in Bass Project 1.97, to help generate a an IR for 28 Tau's Hb instrumental correction, processed in Isis. 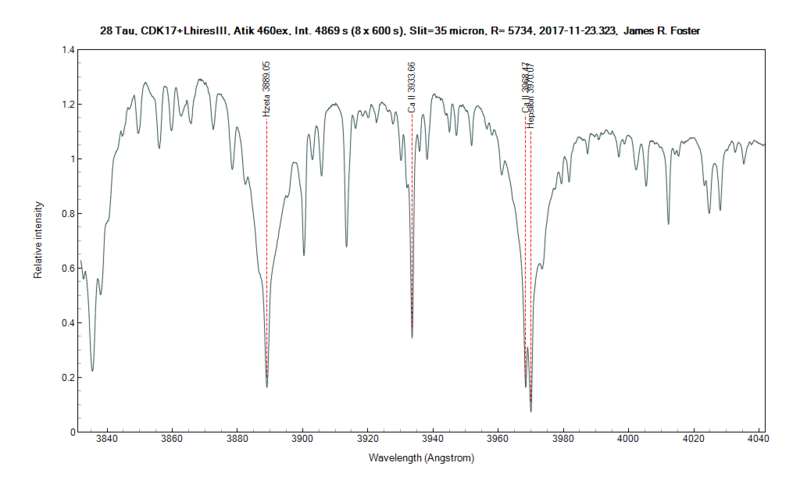 I used the Isis database's uves_procyon.dat to generate the IR curve for 28 Tau's Hb instrumental correction. Last edited by James Foster on Sun Nov 26, 2017 10:42 am, edited 2 times in total. I don't understand why do you take Procyon (a F5IV) to process the IR ? For IR, it's better to use a 0, A or B stars (less lines). Close to 28 tau, you can take for exemple Gam Aur (a B7III), process the IR with this star and apply the IR to 28 tau.